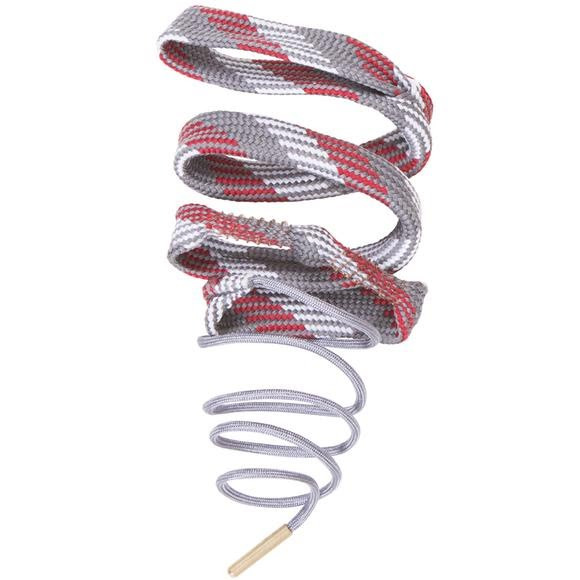 The Allen Co's revolutionary Bore-Nado™ barrel cleaning rope makes taking care of your firearm easily. Simply add the solvent of your choice to the cleaning rope and clean from breach to muzzle in a single stroke, repeating as necessary until clean. The Allen Co &apos;s revolutionary Bore-Nado™ barrel cleaning rope makes taking care of your firearm easily. Simply add the solvent of your choice to the cleaning rope and clean from breach to muzzle in a single stroke, repeating as necessary until clean. The small end of the rope has a weighted brass bore guide to make guiding the rope through your firearm easy and the vortex bristle technology uses copper brushes to blast fouling and debris as it passes through your barrel, and the built-in braided swab sweeps it away. Keep in your range bag or gun case for quick clean-up jobs.